In 1940, Patrick Corcoran, a full time schoolteacher with six children, opened a small print shop in his basement in Plains, Pennsylvania as a way of earning some extra money to help support his growing family. He was very interested in the printing industry, seeing it’s potential as a career choice, so he started the first vo-tech teaching print shop in the Plains High School in the 1950’s. During the 40’s and 50’s, Corcoran’s primary printing business consisted of wedding invitations, business cards and raffle tickets. In the mid 1960’s, Thomas Corcoran, Patrick’s son, who was a full time accountant, took over the printing business, and continued to run it part time in the evenings from the basement of his father’s home. Throughout the 60’s, Corcoran Printing began to grow, printing over a million coffee bags per year for a coffee distributor, in addition to many other smaller jobs. In 1978, Bill Corcoran joined his father in the family’s printing business. They purchased a new printing press and moved the business to the corner of North Main and North Streets in downtown Wilkes-Barre, Pennsylvania. Tom worked full time at the print shop during the day and Bill worked part time in the evenings. At the time, they were the company’s only employees, keeping the press running throughout the day and into the evening to fill customer orders. Because of their location, across the street from King’s College and just a mile from Wilkes University, the business grew to include resume printing, and the company began printing up to 20 resumes per week for graduating college students seeking employment. They also began printing menus for local restaurants and provided an array of quick copy work and printed flyers to local businesses. Throughout the 1980’s and 90’s, Corcoran Printing began to see increased competition from big box quick copy businesses, such as OfficeMax. 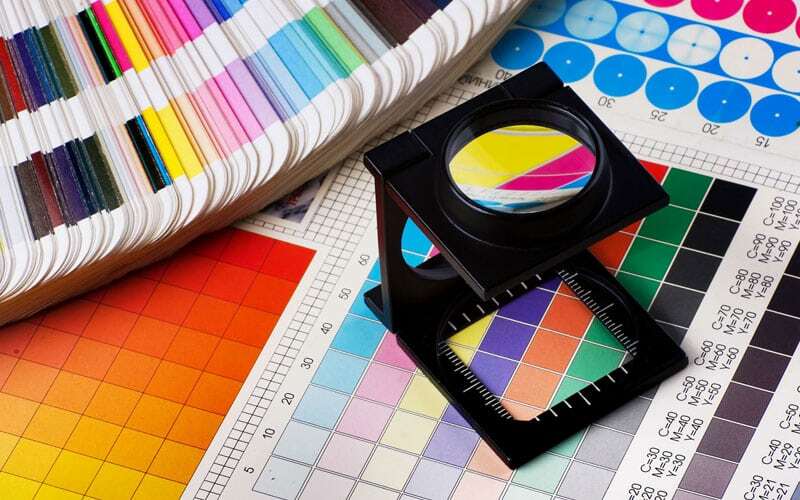 To adapt to the changing marketplace, they purchased their first commercial 2-color press and changed their focus to full color commercial printing. 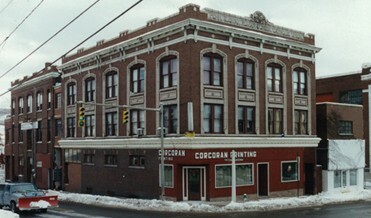 In 1995, Bill purchased Corcoran Printing from his father, who was retiring. With a strong focus on sales and business growth, Bill developed more commercial and full color work and developed several large national companies as clients. 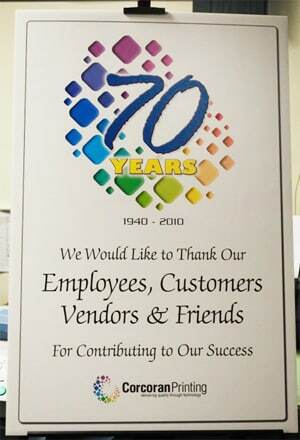 By the year 2000, Corcoran Printing had grown to 10 employees, and Bill saw the need to expand to a larger location. He purchased a large warehouse on Pennsylvania Avenue in Wilkes-Barre, and moved the operation to this new 15,000 square foot facility. During the million-dollar expansion, the company purchased a new 5-color Heidelberg printing press and the machinery for full bindery, saddle stitching and die-cut capabilities. In the early 2000’s, the company developed a detailed website to use as a sales tool and also invested in mail processing equipment. They began to heavily market for direct mail business, both online and through their sales force. In 2005, the company continued to expand, purchasing another 4-color Heidelberg Press. They also increased their mail processing capabilities and expanded their bindery. In 2008, with the industry shrinking and run lengths becoming shorter, Corcoran invested in Xerox digital color reproduction technology. Short run black and white as well as On Demand short run color jobs became more popular. The company also focused on higher end offerings, such as Foil Stamping and Embossing, which would enable them to offer packaging. They expanded their bindery technology to include many of these higher end services. During the recession of 2008 and 2009, the company began a targeted focus on online marketing, expanding their website and providing online ordering. This resulted in many new clients from a greater online presence. 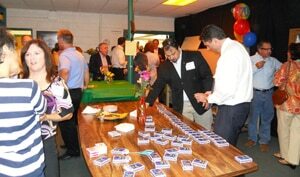 In 2010 the company celebrated our 70th Anniversary with an open house for more than 100 of our customers and friends. Corcoran Printing also invested in new procedures and equipment to keep the company on the forefront of modern “green” initiatives. The purchase of our Agfa Avalon N4 thermal CTP made our direct to plate process chemistry free. Today, Corcoran Printing is still owned and operated by Bill Corcoran and now has 18 employees and has invested in $2.5 million in printing technology. A fourth generation Corcoran, Bill Jr., has joined his father as a sales executive with the company. Corcoran continues to adapt services with the changing marketplace, focusing on packaging, foil stamping, newsletters, books, annual reports and higher end specialty printed products. and continued training for our entire team to ensure your project is handled like it’s our own.